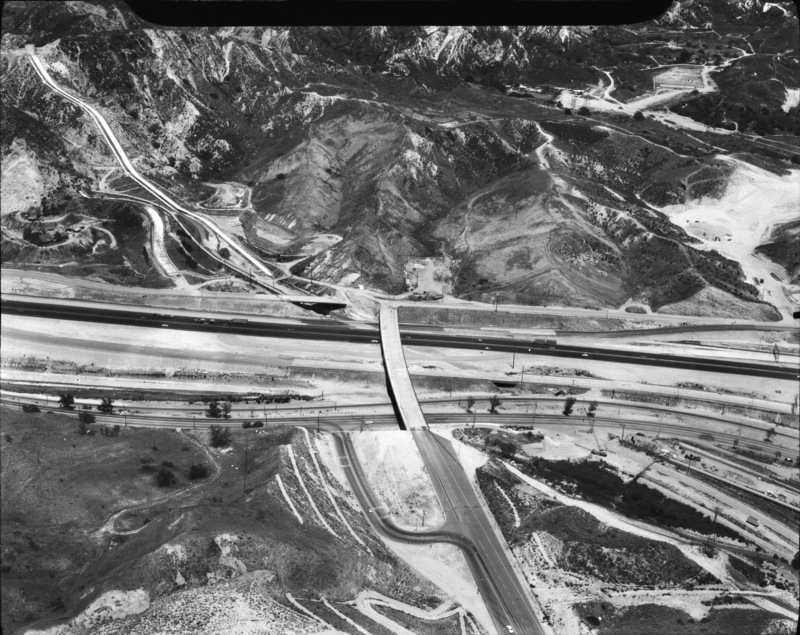 May 22, 1971 — Roadway damage in Sylmar after the earthquake of Feb. 9, 1971. Interstate 5 at Balboa Boulevard looking east. Balboa runs up the middle. Foothill Boulevard has collapsed just north (left) of its intersection with Balboa. The Cascades are at upper left (the "waterfall" that's part of the Los Angeles Aqueduct system). LW2548c: 19200 dpi jpeg from original 4x5-inch negative transparency purchased by Leon Worden.